A comprehensive, coordinated approach to planning and execution is the cornerstone of financial security. We utilize advanced estate planning techniques to reduce or eliminate the uncertainties of tax consequences and other complications. Our depth of professional resources allows us to design plans based on specific family wishes, all for the purpose of Aligning Life & Wealth. Each aspect of the estate planning process coordinates with every other piece of a family's overall investment management plan. 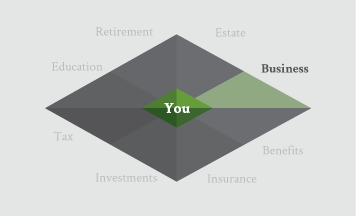 Our goal in business planning is to help ensure that your well-established business maintains its maximum value for your heirs and beneficiaries. We first clarify your goals for your business and review your current plans. 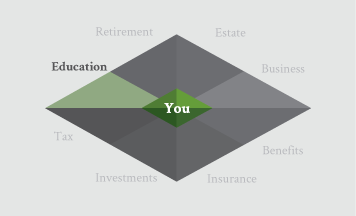 Based on your input, we recommend appropriate strategies to maximize your success and arrange transitions. Ongoing support through the process ensures success. For business owners, fringe benefit planning can be an important element of employment retention. 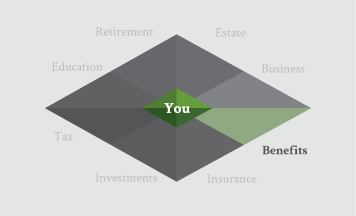 For high-net-worth clients, these benefits often represent a significant financial asset and an integral part of a comprehensive financial plan. We determine how to maximize benefits for owners and key employees, and find cost-effective strategies to protect your assets. 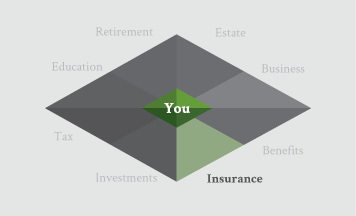 We look at comprehensive insurance planning as a component of your overall financial strategy. We review and analyze your current insurance contracts and appropriate personal and business insurance needs. We then coordinate the most tax-efficient and cost-effective arrangement for you and your beneficiaries. We ensure coverage remains appropriate as situations change over time. Our independence allows us to provide an unbiased approach to investment style, strategy, and product as we create tax-efficient, global, multi-asset portfolios, all while coordinating investments with current estate or retirement plans. 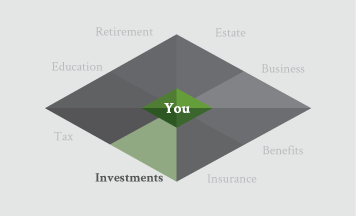 We consider a wide range of options, including mutual funds, exchange-traded funds (ETFs), alternative investments, tactical, and hedging strategies. We consider income tax planning part of your overall financial plan and identify the most tax-efficient way to achieve your objectives. We evaluate your current tax planning and make recommendations to reduce taxes and increase cash flow. 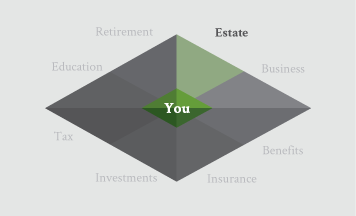 As we implement, we coordinate with your estate, retirement, or business plans. 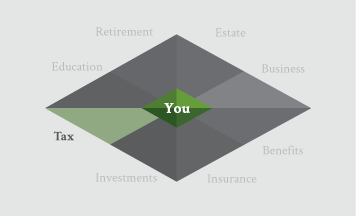 We provide ongoing support to keep your planning current. In our mission to serve our clients and their families, we develop individualized college funding plans. We first analyze your projected college costs and evaluate your existing funding program for its time horizon, potential risk, and potential return. From there, we determine annual savings and lump sums, as well as the ideal investment approach for you and your children. Our comprehensive retirement planning process begins with a review of your current plan and means, and a discussion of your specific goals and desired lifestyle. 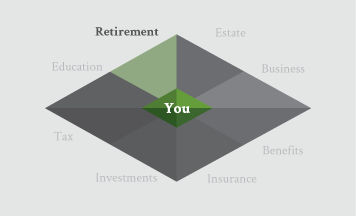 We then implement retirement modeling, putting your plan through various stress tests. We recommend distribution techniques for qualified plans while coordinating with your current estate, retirement, and business plans. Build and manage globally diversified portfolios from an array of asset classes and investment strategies including non-correlating and alternative assets in line with our client's objective. Utilize independent empirical research and analytics to determine "best of breed" positions within our "open architecture" structure. Assess the effect of costs and utilize tax-efficient strategies within portfolios. Reduce costs with exchange traded funds in efficient markets and use thoughtful tax location and tax deferral strategies to improve after-tax return. Continuously monitor and review the economy, capital markets, and security/manager selection. Rebalance to harvest gains, to maintain portfolio integrity, and to redeploy into better opportunities as they emerge.